When I bid $11 on Greene in the auction I was grinding my teeth and no one outbid me. My contingency plan to get his handcuff Joe Jimenez also failed as I ran out of money late. But Greene has snapped off eight saves and hasn’t allowed a run. 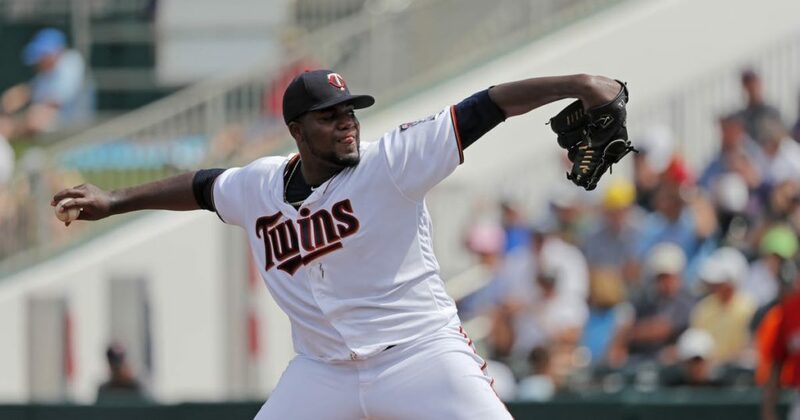 Coming back from serious injury Pineda has been fantastic through three starts. He was bid up in the auction a little as most starting pitchers are in an AL-only so I need him to keep this up to justify a $17 dollar price tag. So far he’s the 41st ranked player overall and has walked 2 hitters in three starts. Rodon is supposed to be way better than this by now but he’s been serviceable through four starts twice striking out nine early in the season. Rodon was a keeper for me in 2019 priced at $11. After Grichuk signed an extension with the Blue Jays I figured he’d be comfortable and settle into his now-everyday role. Although Grichuk has three bombs he’s hitting .192 through Saturday and I bid up on the power at $25 in the auction. Not feeling it so far. Another case where I thought his acquisition would light a fire under a once can’t-miss prospect but it hasn’t turned out that way so far. He looks like a role-player more than a revitalization project hitting .197 with a 11/2 K/BB. I committed to Profar with a three-year contract before the action and now I’m wondering if I have to find a way to get it off the books. My life is a sitcom and you're all just characters. I tweet about Baseball, Politics, & Tech.